From espresso martinis to Kahlua popsicles, this collection of alcoholic iced coffee recipes can last you all summer. 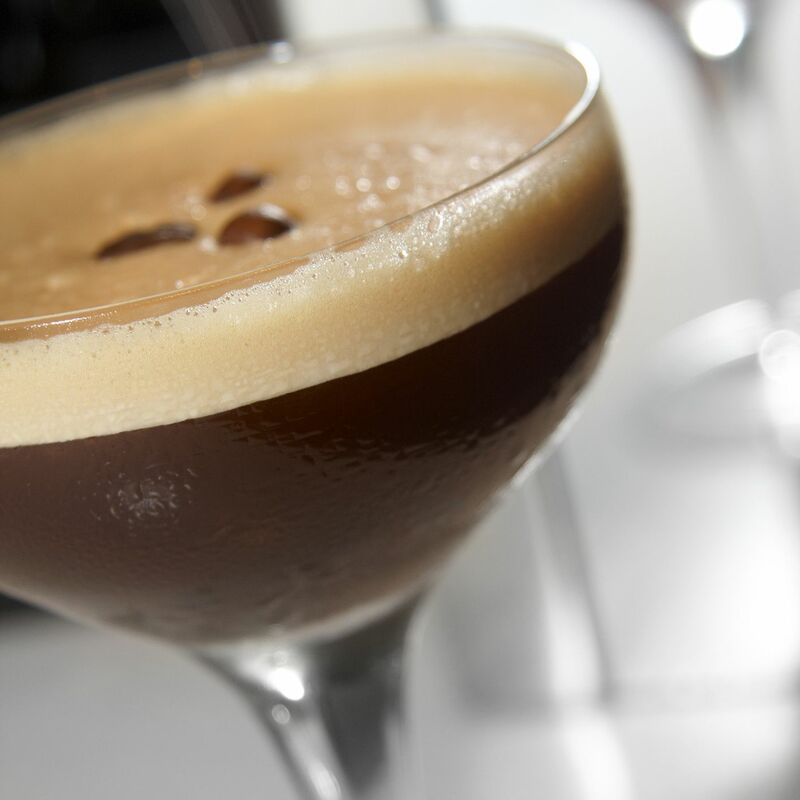 This collection of espresso martini recipes includes an espresso martini with three kinds of coffee, various flavored espresso martinis (cinnamon, hazelnut, etc.) and more. All are served chilled, straight up. B-50s are chilled shots that include Kahlua coffee liqueur. This collection of B-50 shots includes the B-52 (Kahlua, Bailey's & Grand Marnier), the B-54 (Kahlua, Bailey's & Tequila) and more. This is one of those drinks that tastes sweet and relatively low in alcohol but packs a serious punch. Serve it in a frosted martini glass for an even more cooling experience. Did you know that you can make your own Kahlua/Tia Maria-style coffee liqueur at home? It's surprisingly easy to do. Just infuse, sweeten and then serve it on the rocks or mix it as you would Kahlua or Tia Maria. I think the name says enough; does it not? If you like this recipe, you might also like the more elegant (but equally sinful) Chocolate Mocha-tini, the ever-popular Mudslide, and the rum-based hard coffee milkshake. This traditional Greek recipe combines liquor with coffee beans for added flavor and a bit of luck. This recipe ​is an easy, elegant coffee martini recipe made with coffee liqueur. This creamy, alcoholic iced coffee recipe is great for fans of spiked milkshakes. Amaretto, almond extract and vanilla extract give it a strong, sweet flavor. OK, this is a weird one, but I'm told that it's surprisingly good. Apparently, the Muscatel wine is dark and sweet enough to go well with coffee, cinnamon and orange zest. Who knew? A grown-up version of a childhood treat, this recipe re-imagines popsicles as a spiked coffee drink.